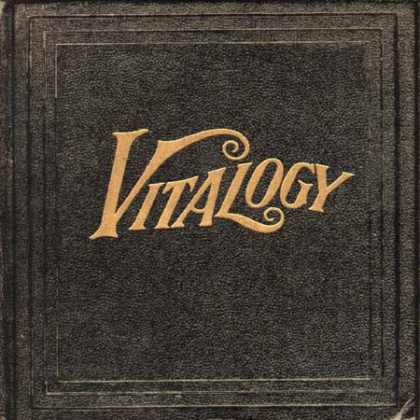 Vitalogy was one of the first CDs I ever bought (during early high school). It’s also one of the first I remember having consciously thought-out, cool packaging, similar to special record packaging back in the day. I bought this album because I liked Corduroy and Better Man so much, and my brother had Vs on cassette tape, and we spent many hours listening to it. At the time, I was surprised and shocked by the very punkish and experimental elements of this album, since it wasn’t the kind of music I was into yet. Spin the Black Circle, Not for You and Whipping all spun my head around a bit with their hard punky sounds, though I think they were the beginning of my introduction to and interest in such things, too. Pry To and Hey Foxymophandlemama That’s Me are still pretty annoying experiments. Foxy might not be so bad were it not nearly 8 minutes long. And Bugs… oh, Bugs. My reaction to that hasn’t changed. What The Eff? These songs often make me feel like Pearl Jam wanted to see how much weirdness they could get people to buy after establishing themselves as a successful band. Corduroy and Better Man, though, are still really classic-sounding, having aged quite well. Immortality is a good song too, but it sounds so very, very 90s to me. Not necessarily in a bad way, but it hasn’t aged as well. Needless to say, this was a nice reminder of days past, but I doubt I’ll be ripping this to my iPod any time soon. And the 1995 me would have had no idea what that means. 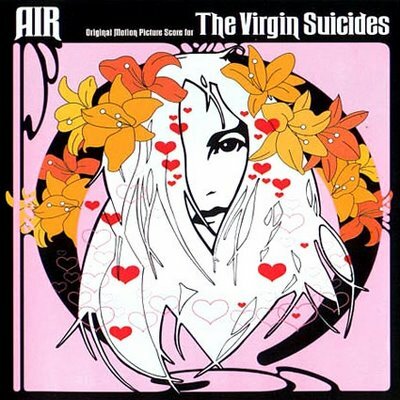 I believe I read The Virgin Suicides when I heard that Sofia Coppola would direct it as her first film; there weren’t and still aren’t very many young women helming films like that, so that piqued my curiosity a bit. I remember it being a novel that crept into me like few can, a story that felt like it fit perfectly into the time and place when I was reading it. I had a similar reaction to the film, and I thought Coppola did a great job telling the story and creating an appropriately creepy post-modern vibe. Air’s soundtrack brilliantly contributes to this dread and heaviness. I haven’t listened to it a great deal before the project, but hearing it again made me want to see the film again; all the feelings came rushing back. The soundtrack is also such a departure from Moon Safari in tone. It even seems like some of the depressive vibe from this project spilled over into 10,000 Hz Legend, their next release. There’s one odd thing, though – the slowed-down movie dialogue included here. Surprisingly it works, but I’m not sure how that struck anyone as a good idea. 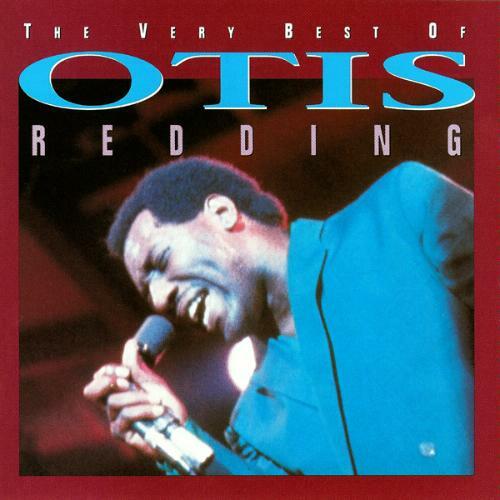 The Very Best of Otis Redding takes me back to being 19 and working at my first job at Great Harvest Bread during summer break from college. This was one of the CDs that I discovered I really enjoyed. I hadn’t previously been very into soul music, so it wasn’t something I expected. I remember I’ve Got Dreams to Remember particularly catching my attention. Otis is my favorite soul singer, for reasons as simple he wrote songs that used the phrase “These Arms of Mine” instead of “My Arms.” It’s a great example of a longer, perhaps less grammatically correct phrase is more engaging than the “proper” way of saying something. It’s amazing such a young singer at the time both wrote his own songs and fully owned the copyright. He was a very smart, driven businessman as well as a great performer; it’s a terrible shame he never really got to enjoy the fruits of his labor and we never got to hear the development of the classic artist he would have become.